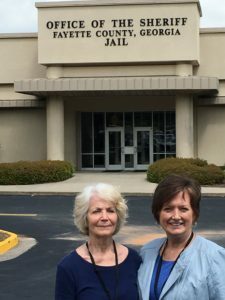 Volunteers visit with inmates at the Fayette County Jail several times each month offering a listening ear, prayer and encouragement. Yearly training is provided for this ministry. See a ministry perspective from Jo Springer, volunteer.